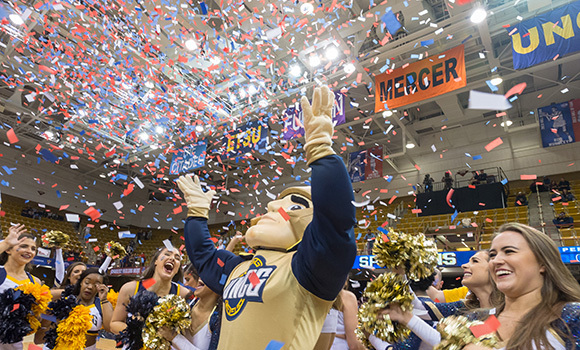 Spiro and UNCG Cheerleading celebrate the men's basketball Southern Conference Tournament Championship in Asheville. Chancellor Franklin D. Gilliam, Jr. kicked off the school year last August with a call for everyone on campus to step boldly into the spotlight. Fast forward to March, and the men’s basketball team was traveling to Boise, Idaho, to face powerhouse Gonzaga in what is arguably the biggest stage in college athletics: the NCAA Tournament. In their first tournament appearance since 2001, the Spartans caught the attention of basketball fans across the nation as they nearly pulled off the upset in the final minutes. Talk about a Giant Step. But it wasn’t just men’s basketball that exceeded expectations. 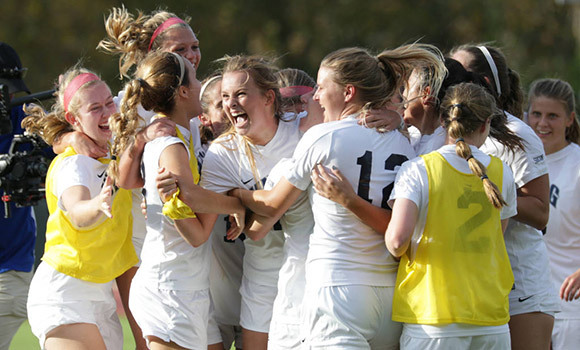 Women’s soccer, softball and men’s golf also competed in their respective NCAA tournaments. The baseball team took home a regular season championship, and a record six Spartans were selected in the MLB Draft. Volleyball competed in the National Invitational Volleyball Championship – its first post-season appearance since joining Division I. In the classroom, student-athletes set another record, earning a 3.23 cumulative GPA for the year. The success energized the campus community and the city of Greensboro in a way it never had before – from the packed watch parties to the good luck messages from city leaders to the generous gifts made by loyal alumni. In May, the department announced the largest gift in UNCG Athletics history: a $1.5 million planned gift from Robert M. Saunders ’85, ’88 MBA and Nanette L. Saunders for two endowed scholarships for men’s golf. 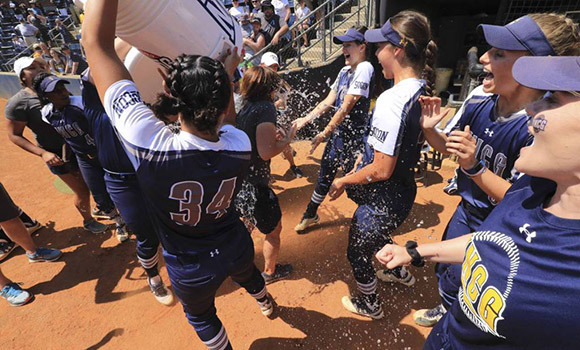 Women’s basketball received a $100,000 gift from alumna Jo Safrit ’57 to renovate its locker room, and the estate of Edwin C. Jennings, 3rd made a $150,000 planned gift to endow the shortstop position on the baseball team, making it the first ever named position endowment in athletics history. It was a historic year for Spartans, to say the least. 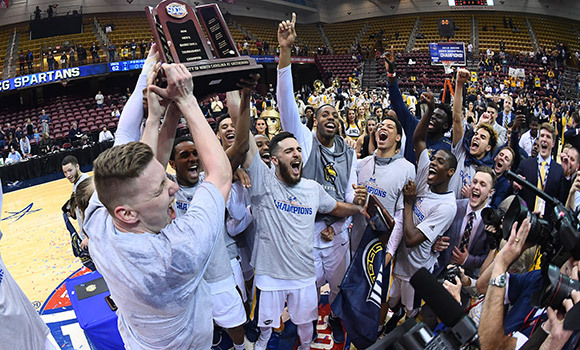 According to Director of Athletics Kim Record, it was the wave of support from UNCG fans that gave the teams a competitive edge. “The university and Greensboro community continue to provide a foundation of support for our student-athletes and coaches, and it definitely makes a difference,” she said. The goal for next year? Continue the ascension. “We seek excellence in all that we do, and the upcoming year will be no exception,” Record said. Check out some of our favorite sports moments from last year in the video below.